Numerology is an ancient, numbers-based system for understanding the world and one’s place in it. Evidence suggests numerology was used in ancient Egypt and Babylon and even for thousands of years in civilizations from China and Japan to Rome and Greece. Every person has a set of numerology numbers that can affect anything from a personal life path to career choices, romantic relationships and more. If you know the numerology numbers and how their energies affect your life, you can use them to navigate life decisions and live your life to its fullest potential. So, without further ado, here are the numerology numbers and their meanings. Everything in the universe is based on numbers. The number pi, for example, can be found in nature from the sun disk and the double helix of DNA to the shapes of rivers. But it’s not only that numbers exist in nature – numbers also output their own energy. There are two ways to calculate your numerology chart: date of birth or your name. The numbers on your chart can have vast implications for your life, depending on the meanings and traits attached to the cardinal or master numbers (more on that later). Just like with astrology, the date of your birth is extremely important for determining who you will be and the path you’ll take in life. With numerology, you’ll want to use the following format: MM/DD/YYYY. The birth date can be used to calculate your life path number. Letters also have their own numerological assignations. But in numerology, only the single digits, 1 – 9, are used. You can use the chart below as a quick reference for each letter of the alphabet and its corresponding number. 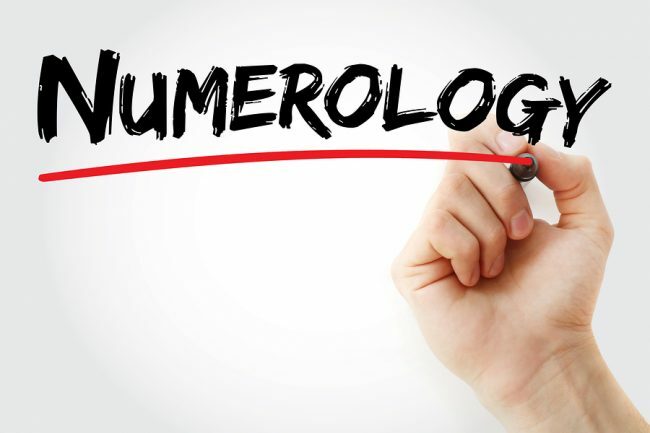 There are four major categories of numerology numbers, and each of them requires a specific calculation based on either your birth date or the letters of your name. Together, these numbers make up your numerology chart. To calculate your life path number: Add up each digit from your date of birth and keep adding until you get to a single digit, 11, or 22. For example, a person born on 05/20/1990 would get 5 + 2 + 19, which would become 5 + 2 + 10, which would become 5 + 2 + 1 = 8. Your soul number, also called your spiritual number, determines who you are on a spiritual level. 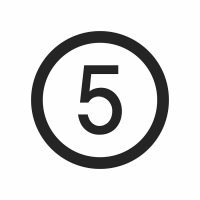 If you have a 5 for your soul number, for instance, then you will be free-spirited and often a little restless or wanting to wander and travel. These characteristics are part of your very spiritual being. To calculate your soul number: Add the single digit values of each vowel in your full name. Keep adding these digits until you get a single digit, 11, or 22. Tip: Your full name should be the name you were given at birth, so even if you have changed your name, you’ll need your birth name to calculate the soul, karmic, and expression numbers. Your karmic number will tell you about all your hopes, fears, and dreams. 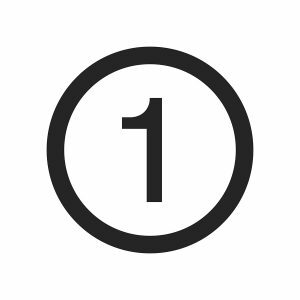 When you know the meanings and energies attached to this number, you gain a deeper understanding of not only what your hopes and fears are but also the factors that influence these. For example, if you are someone who is always hoping to be popular and your greatest fear is being disliked, this may be because your karmic number is a numerology number 2, which makes you social, extroverted, and charismatic. To calculate your karmic number: Use the numerology chart for letters and add up the values for each consonant in your name. Keep adding until you get a single digit, 11, or 22. Also called an expression number, this reveals your true potential and talents – possibly even talents you may not have realized you had! A person with an expression number of 7, for example, might realize that one of their hidden talents is problem-solving, whether it’s logical problems or problems between friends or family members. To calculate your destiny number: Based on the numerology chart, add up the single digit value of each letter in your full name. It’s important to remember that there isn’t just one number for every person – it’s the numbers from the four major categories that make up your numerology chart. The numbers for your life path, soul, karmic, and destiny numbers means the energies attached to those numbers, whether they are cardinal or master numbers, will influence that aspect of your life. Cardinal numbers are 1 – 9, but there are also two master numbers, 11 and 22, that have the strongest energies and are the highest in numerology. The guide below explains the energies and meanings of each cardinal and master number. You’ll exhibit traits of number 1 qualities if there is a 1 in any of your four major numerology categories (life path, soul, karmic, or destiny). You can also have number 1 qualities if your date of birth falls on the 1st, 10th, 19th, or 28th of a month. People with number 1 qualities tend to be leaders because the number carries a strong masculine energy. This doesn’t mean that only men have number 1 qualities though – men and women can have the characteristics of this strong number. In careers, number 1s are often CEOs, managers, entrepreneurs, or inventors. 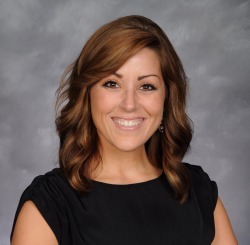 Number 1s are highly driven, creative, independent, and excel in any field of their choosing. However, people with this number can also sometimes be overly demanding or critical of others, and while they may not show it, they can struggle with feelings of self-doubt. You’ll have number 2 traits if you have a 2 on your chart or you were born on one of these dates: 2, 11, 20, or 29. 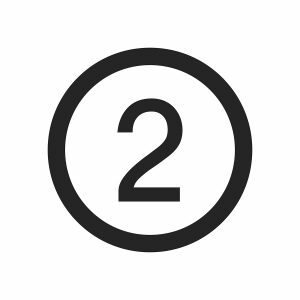 The number 2 exudes a feminine energy, which means that people with this number are often diplomatic and attuned to the emotions of others as well as highly influential and persuasive. In their professional lives, number 2s excel in being diplomats, negotiators, mediators, teachers, caregivers, counselors, or therapists. Number 2s are great for their ability to listen and communicate and their interest in the deepest issues in life. The only downsides are that they can also be overly sensitive, which can sometimes lead to dramatic consequences. A 3 on your numerology chart, or a day of birth of 3, 12, 21, or 30 will lead to number 3 influences. Number 3 people are unique in that they exhibit traits of both 1s and 2s. 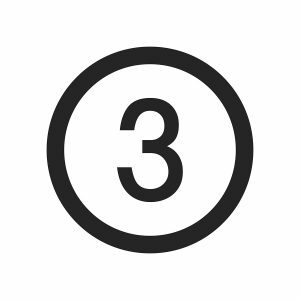 Number 3s are highly extroverted and approach the world with open arms and wonder. They are often the life of the party. Those who have number 3 traits often see the silver lining in any situation. They also like to live as freely as they can, so in their professional lives, they enjoy flexible work schedules or setting their own hours. The downside is that they have to work hard at being self-disciplined. 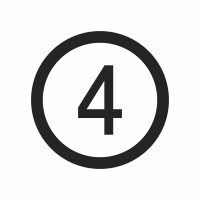 You will have number 4 traits if you have a 4 on your numerology chart, or your birth date falls on one of these days: 4, 13, 22, or 31. People who are number 4s tend to see things as black and white and in terms of absolutes, and because of this, they tend to follow the rules. Career-wise, number 4s perform best in the sciences or upholding the law (such as government), as well as the military. The seeming rigidity of how number 4s see the world is counterbalanced by the fact that they are incredibly dependable. Their main difficulty is in letting loose and relaxing. A person will have number 5 traits if they have a 5 on their numerology chart or were born on the 5th, 14th, or 23rd of the month. Number 5s are free-spirited, which means they are also not judgmental, social, and very friendly. The only downside is that they can sometimes seem flakey or unreliable. People with number 5 traits do best in careers where they can interact and socialize with people. This can be in hospitality, sales, real estate, or anything else where their ability to engage others becomes highly useful. A 6 on your numerology chart or a birth date on the 6th, 15th, or 24th of a month will lead to number 6 qualities. Number 6 people are some of the most caring and compassionate people you will ever meet. Helping others and nurturing give them the most joy in life. This makes a profession as a teacher, counselor, therapist, doctor, nurse, or a stay-at-home parent a great fit for a number 6. The downside is that when a number 6 feels they failed to help someone, it can be very damaging to their own emotional well-being. 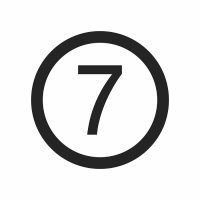 Number 7s have a 7 on their chart or were born on the 7th, 16th, or 25th of a given month. Number 7s are often deep thinkers and introverted. Often, number 7s seem to care less about what others think about them. People with number 7 traits do well with careers in the sciences or academia. They often gravitate toward solo research. Because 7s are introverted, they frequently have a hard time making friends. When they do, however, they are steadfast and devoted. An 8 in the numerology chart or a birth date falling on the 8th, 17th, or 26th will lead to number 8 qualities. If there’s anything to be said about number 8s, it is that they are driven to succeed. 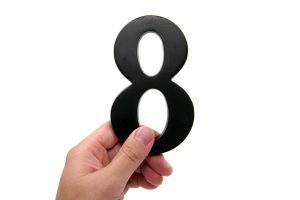 Not only do number 8s have enormous potential to be successful, but they will do whatever it takes to achieve success. Number 8s tend to become workaholics, and their intense drive also makes them come across as blunt. They are most fulfilled by money, nice clothes and material goods, but also by having a balance of a good family life. A 9 in your chart or being born on the 9th, 18th, or 27th will give you number 9 qualities. Number 9s are always striving to ensure justice. They might be rallying to fight global warming or seeking justice for those who have been wronged. They are also deeply spiritual and passionate in all that they do. Number 9s can do well in activism, fighting for justice in pro-bono work or even volunteering, but they also can be gratified in working for themselves. A strong sense of right and wrong might make them seem difficult to approach at times, and they aren’t always the most romantic individuals, but they are very deeply loving and impassioned. This is one of the special master numbers in numerology, and you’ll only have number 11 traits if it is one of the numbers on your numerology chart. Just like the prime number itself, people who are number 11s are highly unique. They draw energies from both the numbers 1 and 2 but with greater amplification and strength. This can be both a blessing and a curse as sometimes 11s struggle to find balance. 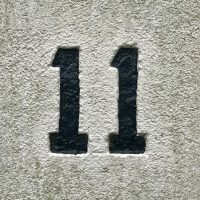 Number 11s are known for being very insightful, but their deep insights also make them introverted most of the time. Their spiritual depth makes them desire solitude and quiet instead of being caught up in petty drama. Professionally, number 11s absolutely need to work in creative fields. Their biggest dislike is boredom and doing mindless tasks day in and day out. The other master number is 22, and people with these qualities will have a 22 as their final number in any of the four major categories. 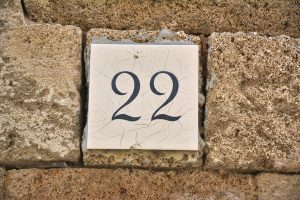 The number 22 is the strongest of the numerology numbers. People with this number have a deep sense of a higher self and are often on a path to better and help humanity as a whole. People who are 22s truly radiate and make those around them feel more joyous. Their most admirable traits are that they are grounded and selfless. However, they can also forget to practice self-care, and this can lead to issues of insecurity, fear, or them lashing out in bossy ways. With your personal numerology chart in hand and the guide to the meanings of the numerology numbers, you can better understand who you are, what you want, and where you are going in life. The insights of numerology allow you to draw upon the wisdom of the ages and to live your best life.